I just pick up this futon from local Walmart. It took about a week to arrive the site, not bad. The box was already look small in the store. I managed to fit it in my SUV to take it home by myself, not very very heavy at all. Easy assembling just like other review says.I bought a red one. It does look modern and nice. When uses as a bed, it feels like extra extra firm mattress with minimum cushion which I like. I do feel the middle of futon is firmer than rest of area, but it feels like a extra support for my back and it feels good. I'm 5'3\", was able to lay on it comfortably.The actual measure of this futon is 67\"(W) x 37\"(D) x 14 inch (H) not as the measurement states on it's box (69x38x14.5). Be honestly, it's not a comfortable couch to sit. The sitting depth is about 19 inches, not deep enough to sit comfortably on it. No room to add pillow for lumber support. The chair back high is about 16.5in high, not high enough to support shoulder and neck either. I'm thinking about returning it to get a bigger futon to sit more comfortably. Overall, it's a good futon for the price. The only problem is I like it as a bed more than as a couch and I wanted to use it as a couch in my small living room. Home territory searches the web to find the best prices and availability on Futons and related products foir your home like DHP Kebo Futon Couch with Microfiber Cover, Multiple Colors. 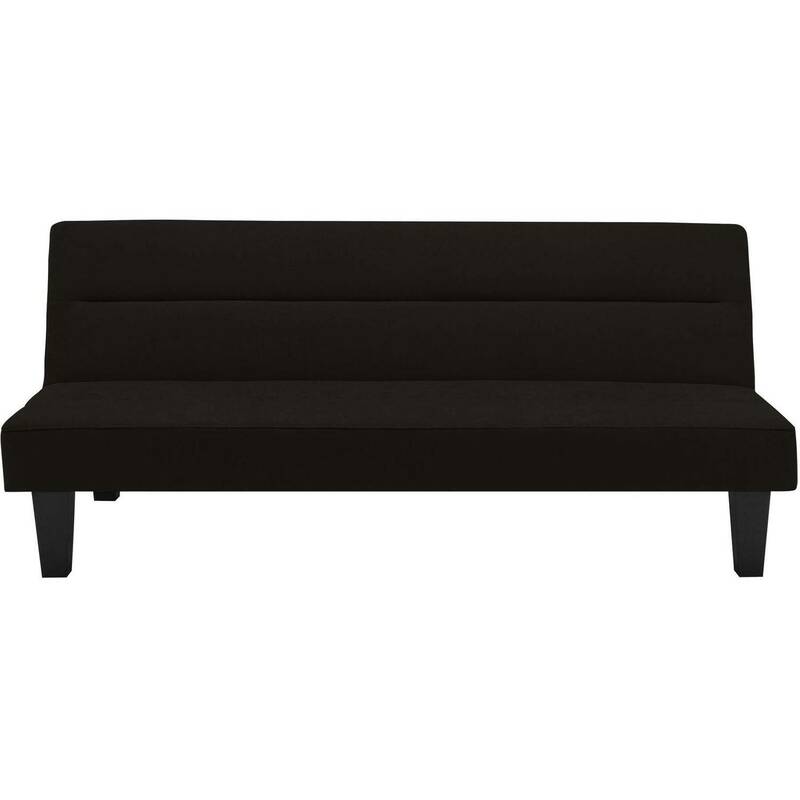 For this page, related items include products we find that match the following keywords: "Futon" at our vendor partner Walmart - Click More Info / Buy Now to check for price rollbacks!. DHP Kebo Futon Couch with Microfiber Cover, Multiple Colors is one of 61 Futons and related products available for sale through HomeTerritory.com, If you have any questions on this product, please give us a call at 734-971-1210 during the hours of 9am - 5pm EST for assistance. Thank you for shopping at Home Territory, the home furnishings superstore!